How many pairs of earbuds do you have laying around? 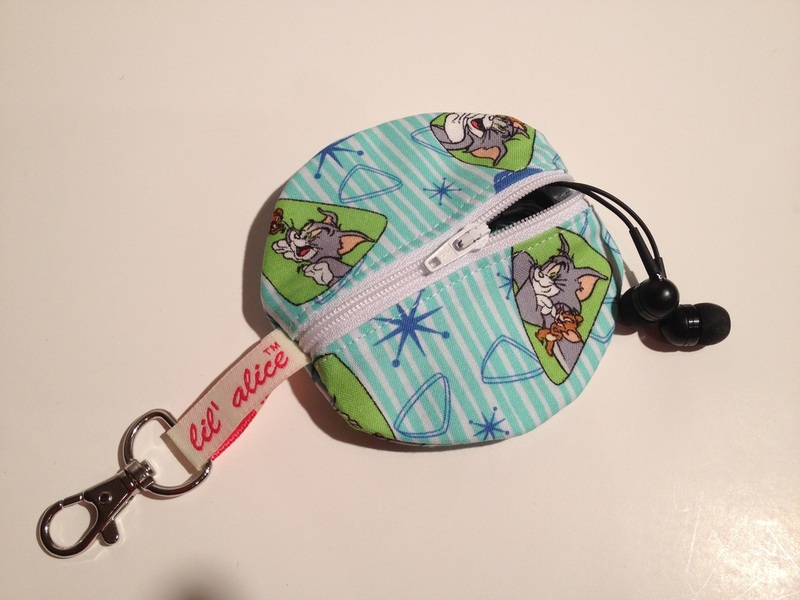 How many are in a tangled mess in a drawer by the door? My kids have iPods and when they play them in the car I require sound off or earbuds in. I can't stand the noise. 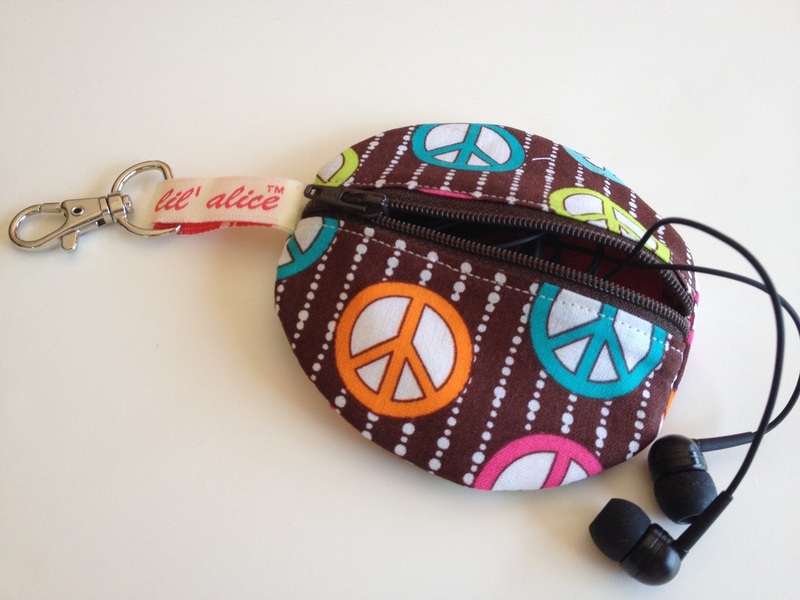 lil' alice has a new item to keep your earbuds tucked away from getting tangled with all the other stuff in the bottom of your purse, or your kitchen drawer, or a child's backpack, or your gym bag. 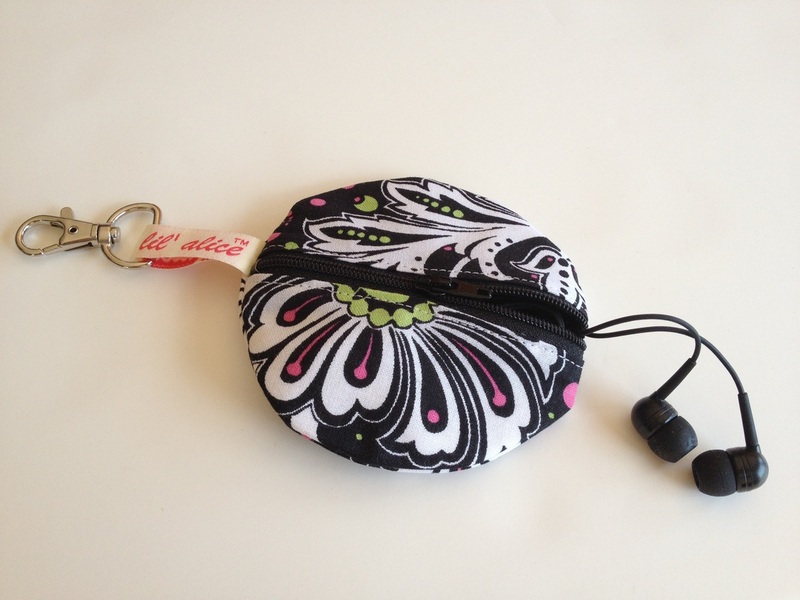 lil' earbud pocket keeps the earbuds safe & clean & it easily clips to your purse, a backpack, keys, or a gym bag. And they are not just for girls either. I am making 2 for my boys and their earbuds. 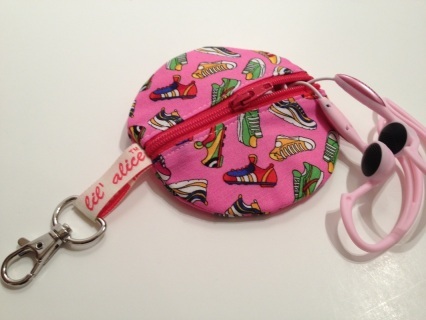 They will clip to the back of my seat in my car on the mesh pocket.